The Guild of Property Professionals member Seymours Estate Agents was presented with The Guild Property South Award at The Guild gala dinner and awards ceremony, which was held at The Vox conference centre in Birmingham on Friday 27 January. 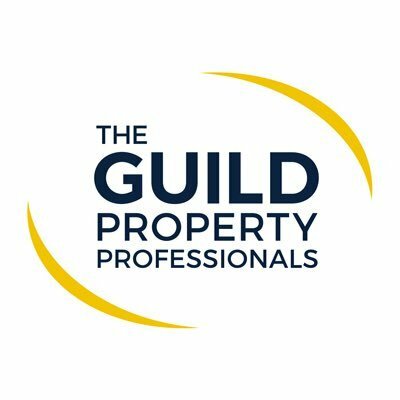 The awards were presented by Marcus Whewell, CEO of The Guild, and property TV presenter Melissa Porter after a full day at The Guild annual conference, where the new Guild brand was revealed. This is the biggest change in fifteen years, and includes altering the company name from The Guild of Professional Estate Agents to The Guild of Property Professionals, as well as a fresh new look. The awards ceremony was sponsored by The Telegraph, who commented: “As the UK's best-selling quality daily newspaper, The Telegraph is looked to by its readers as a trusted source of expertise. It is therefore fitting that we are able to celebrate excellence in the property industry by sponsoring the awards ceremony at The Guild of Property Professionals." Seymours Estate Agents were proud to be chosen to receive the award, which was collected by the Seymours team on stage at the Vox in front of nearly 500 estate agents. The Guild is a national network of nearly 800 carefully selected independent estate agents, working together to consistently raise standards of excellence and professionalism in the industry. The Guild facilitates and supports its members providing marketing, business and technology solutions to ensure a ‘best in class’ service delivering a key competitive advantage: knowledge, integrity and results are at the core of The Guild.